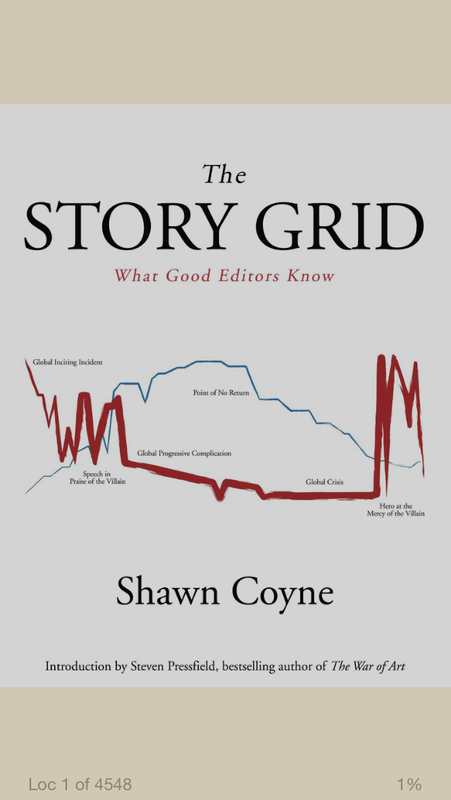 The Story Grid by Shawn Coyne is subtitled What Good Editors Know. This is another book that looks in detail at story structure, but from a different angle than the Blueprint your Bestseller that I looked at previously. Coyne looks at two ways of analysing a book: the Foolscap Global Story Grid breaks a book down into its essential components, as a check that the basic structure is sound and clear, while the Story Grid Spreadsheet looks at each scene in more detail, recording the change in mood, turning point, length of scene, POV and other aspects. Both these sections take Silence of the Lambs as a reference point, analysing it in depth and applying the methods to the text. I found this a little irritating, as it has been many years since I read the book and I’m not sure I ever saw the movie, so my lack of familiarity with the sample text made these parts a little harder to follow. However, what I did find very useful with this book is the in-depth look at genre, both in the sense of genre fiction and in the sense that every book falls into a specific category of book. Each genre has its own rules and conventions, and these are laid out for some genres at least in great detail. This came to mind recently when I read a thriller that did not follow those conventions, and I did indeed find that it fell flat because of this. Story arcs are also looked at in depth, with the arch-plot, the mini-plot and the anti-plot discussed in detail, as well as the interplay of external and internal content genres. Most or all of the material is available online, at www.thestorygrid.com, and I would suggest that before considering buying the book you take a good look at the website and the resources there. You can see a summary of the techniques used on the resources page. The paperback book is rather expensive, at £25, while the kindle book at just under £5 is better value, but I found it a struggle to view some of the images, especially on a kindle device, which doesn’t have the same facility as an iPad to zoom in on images. However, it is useful to have the text all in one place for easy access. There is a lot of useful material in this book, and it is well worth looking through. It emphasises the necessity of knowing the rules in order to break them deliberately if you feel appropriate, rather than ploughing on without understanding them in the first place, and the fact that understanding your genre is essential to producing a strong book. 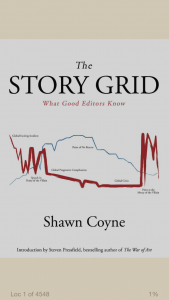 The grid is a good way of checking that every part of your story is strong, while the foolscap method is a good check that the overall arc is clear. Both techniques together will tighten up your writing and reduce flabbiness that fails to drive the story forward. This is not a book for the writer just starting out, but if you’re nearing the point of thinking about seeking publication in some way then this would be very useful. It would also be useful for any beta reader to bear in mind, although there is always the fear that a little knowledge is a dangerous thing, and I would hate to see anyone applying these rules rigidly without understanding why they exist or when they may be broken (a bit like the rules of writing itself, in fact!). This entry was posted in Writing book reviews and tagged beta reading, editing, manuscript, resources, writing on September 23, 2015 by Lin White.